Feathery Sea Algae in silver foil with silver frame for a Coastal look. 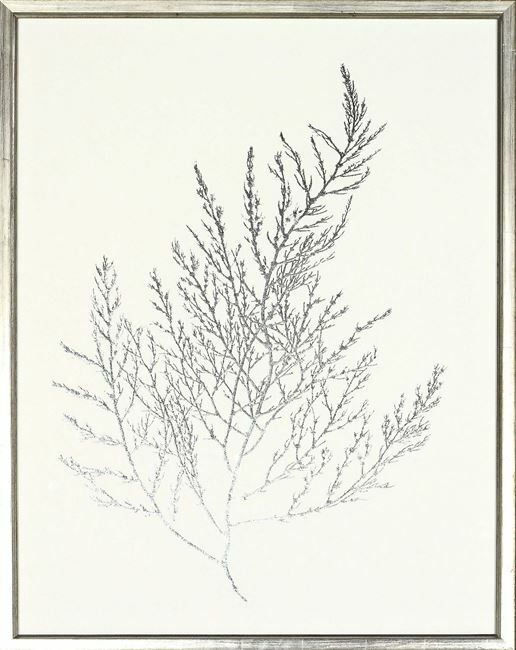 Soft and feathery this silver foil, seaweed image would softly accent any coastal theme. The foil treatment gives a less expensive version of hand embellished gold gild. Each is framed in a fine silver gild frame.